“Learn history!” Joe Rosenberg (JR), Investment Officer at Loews 2017 L_Letter-to-Shareholders shouts. 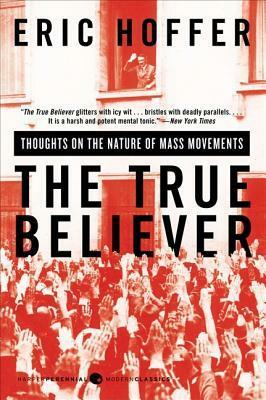 My favorite book to recommend is The True Believer: Thoughts on the Nature of Mass Movements by Eric Hoffer. CSInvesting seconds this recommendation. The book provides a concise and astute portrait of the personality type that is drawn to authoritarian institutions, whether political or religious. 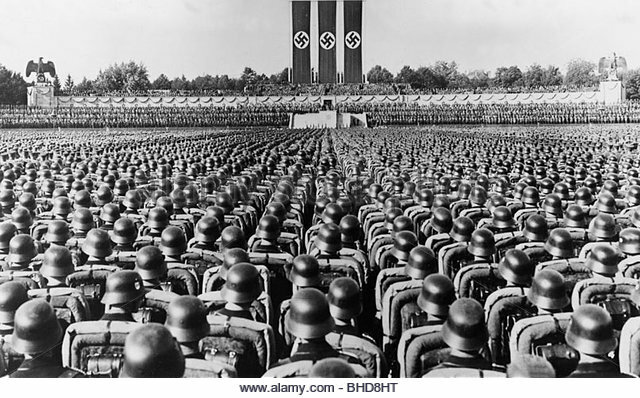 Hoffer makes an excellent case that the mass movements – the fascists, the communists, and the various brands of religious fundamentalists, that have caused so much death, suffering, and chaos throughout history in their attempts to impose their values and belief systems on others, have all depended on people of basically similar character to fill their ranks. The true believer, as Hoffer portrays him/her, is someone who yearns for certainty and fears ambiguity; who sees the world in dualistic terms, black and white with no gray areas; who prefers to simply follow orders, letting others make the hard ethical decisions; who revels in belonging to an exclusive group and looking down on outsiders, particularly if they belong to a group the leaders have chosen as scapegoats. Every voter should read this book and then look at the world today – the politics of fear and division, the growth of fundamentalist religion, the strident bigots on talk radio and TV – and then start working to reduce the danger they all pose to the freedoms in our Constitution, to the separation of church and state, and to our standing in the world. There is no discussion about investing in the book, but in my opinion, it is extremely helpful in understanding markets. It conveys the nature of human behavior in mass–how people act as a group. One of his great examples is explaining why people riot. There is no reason and no logic. People just get caught up in it. Riots don’t end all at once, they end person-by-person—that is markets. People panic in a group, but they come back to their sense one by one. That is why stock move incrementally the way the do. CSIMA (Columbia Student Investment Management Association): How should they think about investment and time horizon? JR: Young people today in business are much more macro-oriented than micro-oriented. They spend much more time on what is going on in Europe or Federal Reserve policies. They don’t focus much on company specifics. Even when they do they have a very low level of confidence in what they are doing. It’s very unfortunate. I hate that they don’t teach financial history in business schools. If it was up to me, I would make financial history and all history a number one requirement for business schools. Understanding how a spreadsheet works can be learned on the job easily but understanding the continuum of history requires certain intellect. I cannot for the life of me under-stand why business schools are not teaching financial history. My advice to young people, if they really want to be successful in this business, is to learn financial history. Learn history in general and then dig deeper into financial history and you will not be in such awe of everything that’s going on. I see the same problem in my office. 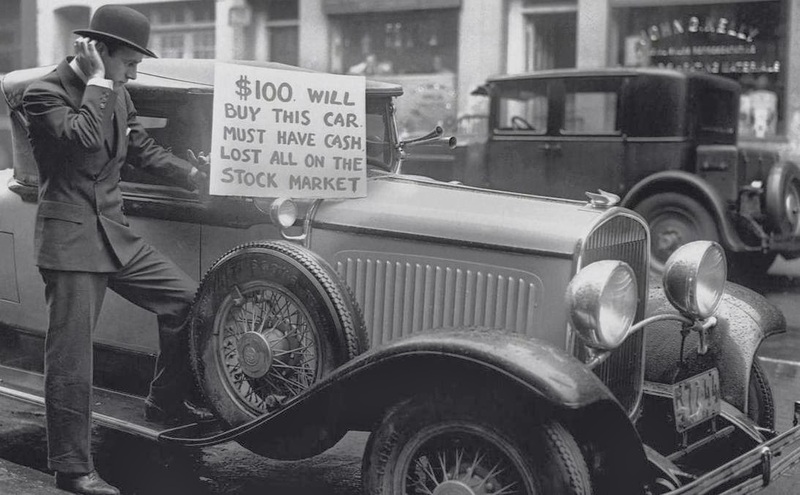 People just don’t know any financial history and they think that everything that is happening is unusual. Everything else can be learned on the job. 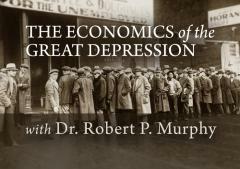 In this five-lecture course, Dr. Robert Murphy reviews the causes of the Great Depression, the response of the Hoover administration, and the New Deal. The focus is more on economic analysis rather than historical narratives, contrasting the Keynesian interpretation of various events versus the Austrian explanation in particular. Topics include the operation of the gold standard and the allegation that it inhibited policymakers from implementing the “stimulus,” Herbert Hoover’s supposed austerity program, the Friedman-Schwartz theory that the Fed’s unwillingness to inflate led to the severe downturn in the early 1930s, recent academic research showing the cartelization effects of the New Deal, and the myth of wartime prosperity. Dr. Murphy’s book, The Politically Incorrect Guide to the Great Depression and the New Deal, would be very helpful for students, but it is not required for the course. All necessary reading materials are provided. An excellent discussion of how and why ABCT works. Note that the speaker, David Howden, says the middle stages of production (like building infrastructure and maintaining stores) are declining now. Excellent! AUDIO http://fetch.noxsolutions.com/tomwoods/audio/woods_03_17_2014_2.mp3 Just copy and past into your browser. Thirty minute audio. ..But the proof that these were unsustainable bubbles fostered by the state rather than real growth and prosperity arising from the free market became acutely evident after the turn of the century. Then another round of Greenspan bubble finance and the George W. Bush fiscal profligacy converged in a temporary spree of phony prosperity: the domestic consumption boom and the real estate bubble. Yet now that these have gone resoundingly bust, the data starkly reveal that the nation’s economic fundamentals have relentlessly deteriorated for more than a decade. The 2013 Austrian Economics Research Conference starts tomorrow. The following lectures will be broadcast live. You can watch them either on our Ustream channel page or through the embedded feed on the Mises.org home page. We’ll also be live-tweeting these lectures. Follow us on Twitter @mises. We’ll be using the hashtag #AERC. and…..destroying wealth: “Contrary to popular thinking, loose monetary policy, which leads to a misallocation of resources, weakens the economy’s ability to generate final goods and services, i.e., real wealth. This means that loose monetary policy not only cannot provide support to the economy, but on the contrary undermines the foundations for economic growth. A traditional economist’s view: Why so gloomy? All is well. PS: I will tackle the three valuations this weekend. Right now I am too busy researching mining stocks.